This year, four businesses pitched to the Community of Dragons. There was Iola, a start up led by Iola Weir in the theatre arts space with a vision to create local livelihoods and be catalyst for a flourishing regional arts and culture scene. There was also the very popular The Kitchen Table, an expanding sustainable catering company led by Sima Cutting, supporting local producers and raising awareness of important food system issues. Horse and Heart is the project of Marie Franco leads this expanding horsemanship training practice offering a range of services supporting the use of horses in agriculture and health & care. 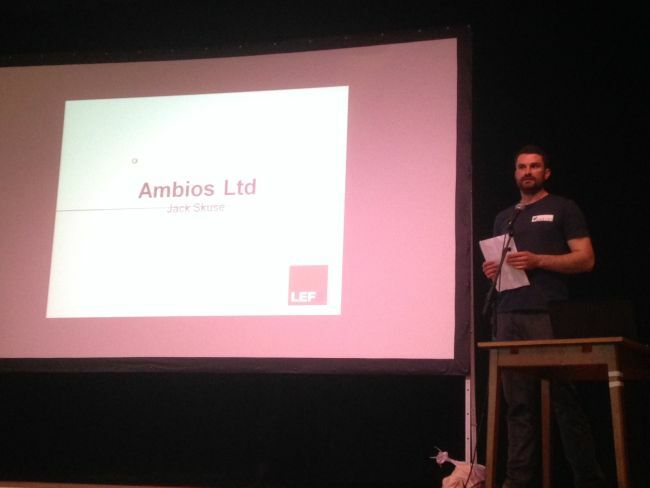 And lastly, Ambios Ltd is an expanding farm and educational project led by Jack Skuse, producing organic food and serving the land-based educational needs of young people. Imagine this scenario, it might sound familiar. A Transition group has been running for some time, mostly along the model of being run by volunteers, and dependent on donations, whether from local individuals, or from foundations. 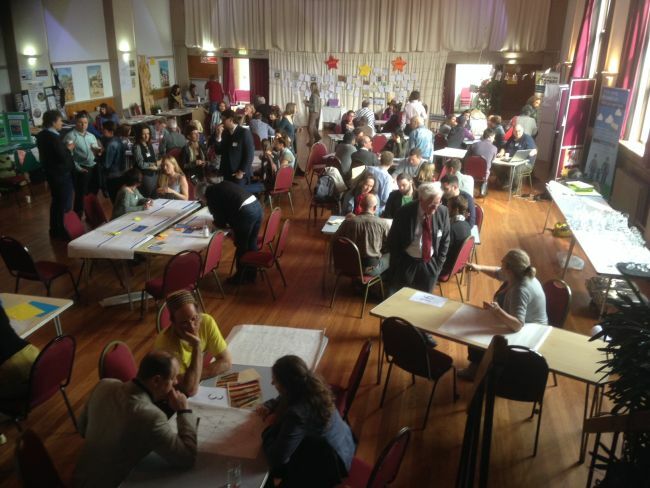 People are tired, they bemoan the fact that often the same people tend to turn up at things, there is little meaningful engagement with the local business community, and it proves very hard to find common ground with many other local groups. People come to events but then often don’t stick around to help. Appeals for funding don’t tend to garner much traction. Enter the Local Entrepreneur Forum. Engage with your local business community in a completely different way: often, a Transition group and a local business community exist in parallel with little interaction. Yet within that business community are masses of expertise and connections that Transition could really benefit from. Invite them to come, to share their knowledge and expertise, to support the next generation of innovators. Build bridges and partnerships: how about partnering with the Women’s Institute, your local Young Farmers, the local college? 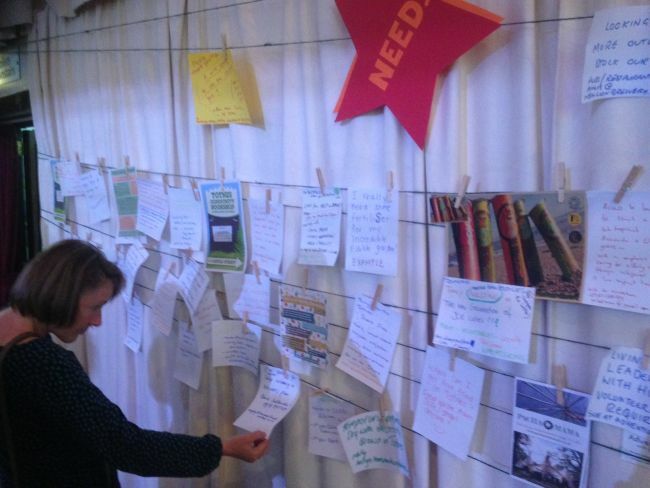 Maximise the potential a LEF offers to make some key new connections. See your community in a different way: being introduced to a range of local entrepreneurs, as well as meeting and hearing about many more through the Bee Like a Bee session, all of a sudden, you see your place in a completely different way, as more alive, creative and passionate than you may previously have thought. Celebrate! : a LEF is a hugely celebratory event, generating great passion, enthusiasm and energy. Every Transition group needs a bit of that from time to time. If you’d like to put on a Local Entrepreneur Forum, find out more here.